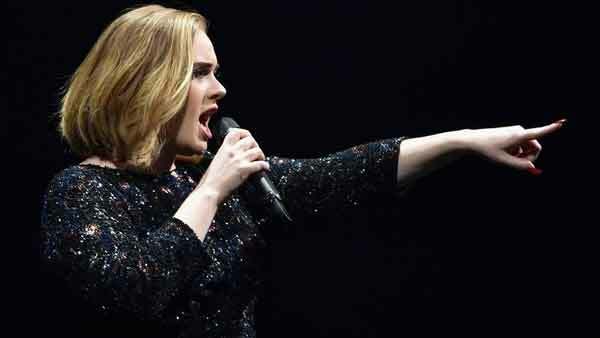 London, UK (BBN)-Adele and her fans have paid tribute to the victims of Tuesday’s bomb attacks in Brussels. The singer got the crowd at London’s O2 Arena to sing along to one of her tracks with fans lighting up the venue with the mobile phones, reports BBC. Thirty-four people and 250 were injured after suicide bombers hit the airport in Brussels and a metro station. “This is Make You Feel My Love and this is for Brussels tonight,” she told the crowd. After finishing the track, from her debut album 19, she said: “I don’t think I’ve ever actually been so moved before in my life at one of my shows, that was just so beautiful. A minute’s silence for the victims will be held at 11:00am (12:00pm in Belgium). Police are still looking for a suspect pictured on CCTV shortly before two bombs exploded at Zaventem airport and on a metro train near Maelbeek station in Brussels. Other celebrities paid tribute to the victims of the Brussels bomb attacks as well. Press interviews were cancelled on the red carpet at the Batman v Superman: Dawn Of Justice European premiere in London after the Brussels attacks. Ben Affleck and Henry Cavill stopped for photographs but didn’t talk to the media.